For this tutorial you will need. -A dresser. 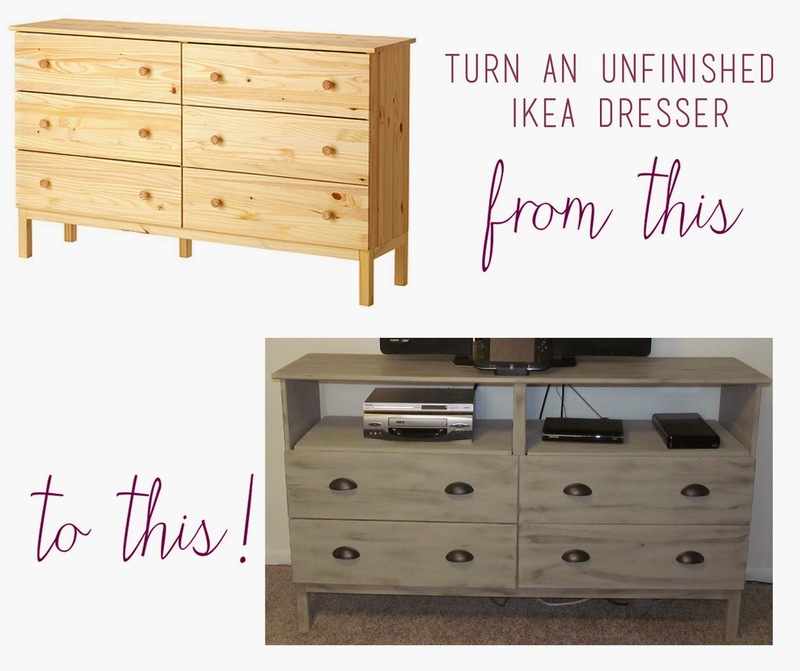 We purchased the TARVA unfinished dresser from Ikea. If you choose to use a dresser you currently own you may have to add another step of sanding it. - Light gray paint. 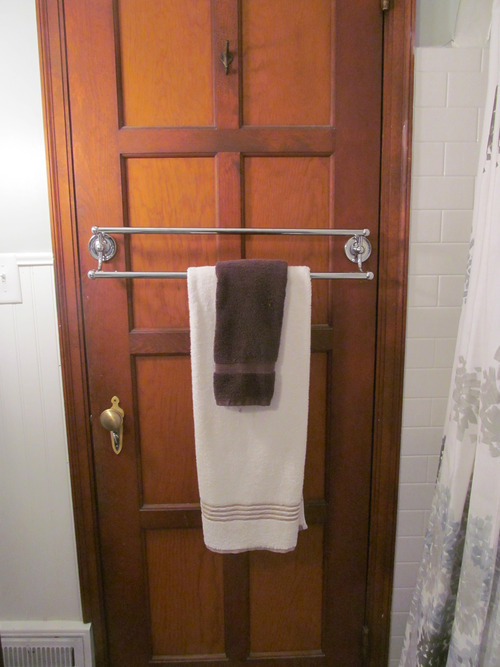 For this project I chose to reuse the leftover color from the guest room. 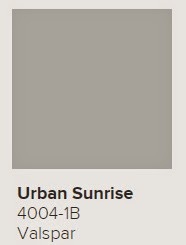 The color is Urban Sunrise (4004- 1B) by Valspar. Purchased at Lowes in Interior Eggshell. - A small sample of dark gray paint. Just get the sample size. You'll barely use it. 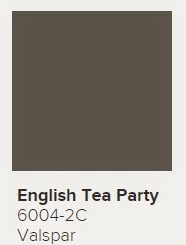 We purchased the color English Tea Party (6004-2C) from Valspar at Lowes. If you walk up to the paint counter, they have these samples sitting in little containers at the end of the counter as well as around the paint section. -Wood slab, cut to fit inside as a shelf where the top drawers would go (I'll explain this more later.) We purchased a slab that measured 6ft x 16 inches and was a little over half an inch thick from the wood section of Lowes and cut it to size using my dad's table saw. Once you measure, you can also have them cut it to size right there in the store for a small fee. -Shelf Brackets to balance the shelf on. If you purchased the same Ikea dresser we did, you will obviously have to assemble it. I wouldn't recommend adding the back piece until you've finished the whole thing. It's easier to paint if you remove the drawers and do them separately. 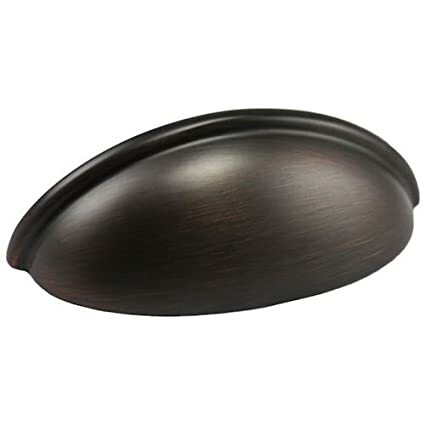 Dry brush your dresser with the gray paint going in the same direction as the wood grain. I originally did two coats of a gray stain but I think the wood is such a light color and its a cheaper quality, that the stain didn't really take the way I was hoping it would. So I sanded it down a little and dry brushed two coats of gray on it. Much better! You still want to be able to see a little wood grain poking through, hence why I dry brushed and didn't just paint it. Make sure to get the inside of where the top two drawers are because that will be exposed once we add our shelves. Also don't forget to brush your drawers! Once the light gray coat is dry, take a small brush and dry brush the dark grey in select spots on both your dresser and your drawers. You want to make sure you follow the wood grain when brushing. I used a rag to wipe off most of the paint immediately after I brushed it on to really get that beachy, washed wood look. If you really want it to look extreme, repeat this step with a white paint as well. I was satisfied with just the two colors. Once all the paint is dry, install your new knobs/pulls on 4 of the 6 drawers. 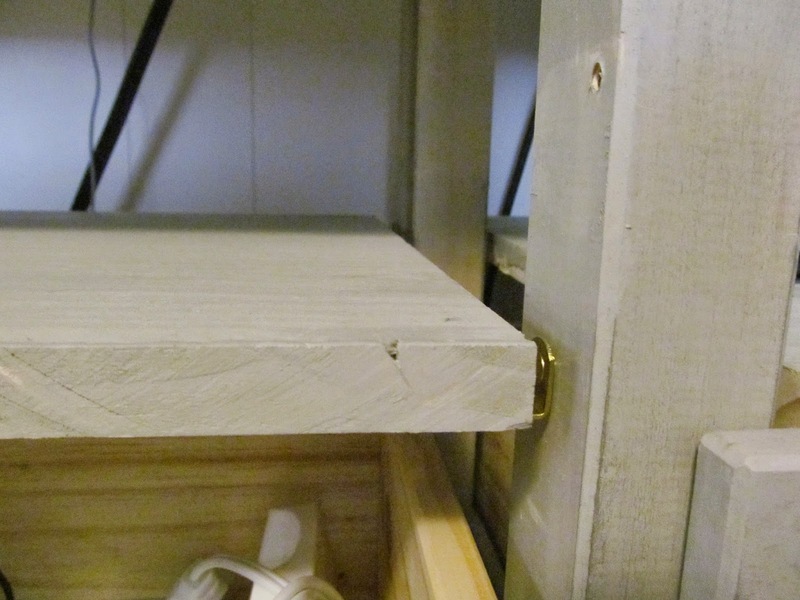 We chose two hole pulls, so we had to drill additional holes in each drawer. We had two of these, one for each side. 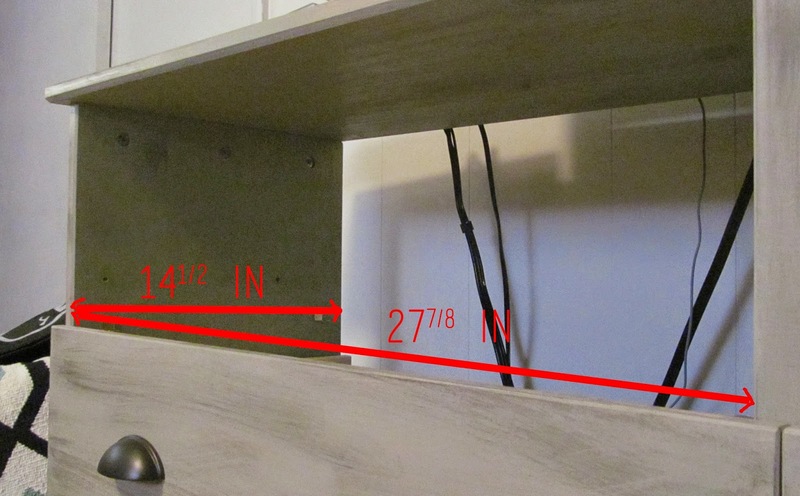 Measure the inside of the dresser where the top two drawers are supposed to be (as illustrated by the photo.) We chose to make it simple and leave the middle space empty. It looks perfectly fine, but if you want your shelf to cover the whole inside, you may have to do a little more puzzle work. 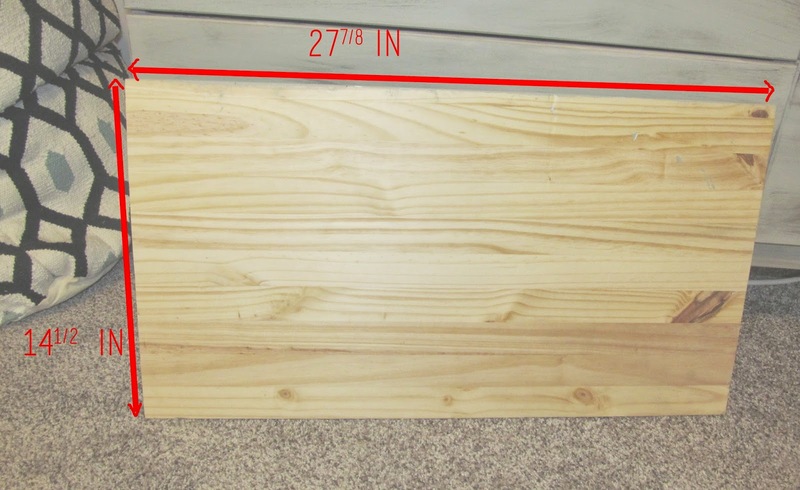 For this Ikea dresser, we measured the inside of each drawer space to be 277/8 inches by 141/2 inches. So that was the size we cut two pieces of wood to be. Paint your shelves and let them dry. You can choose to do both paint steps, however since we figured they'd mostly be covered by our DVD player, our WiiU, etc. that just a coat of the light grey was sufficient. 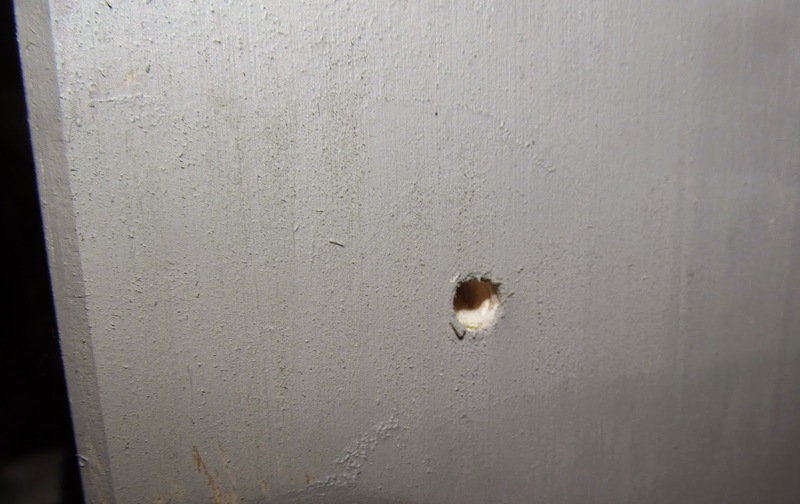 It's hard to see in this photo, but the hole sits about 3 or 4 inches above the drawer beneath it. Measure where you want your shelves to sit above the middle drawers and drill the appropriately sized holes to fit your shelf brackets. You should have 4 holes total. One on the front post, one on the back post, one towards the front of the side piece, and one towards the back of the side piece. Make sure they're all level and not to drill all the way through. 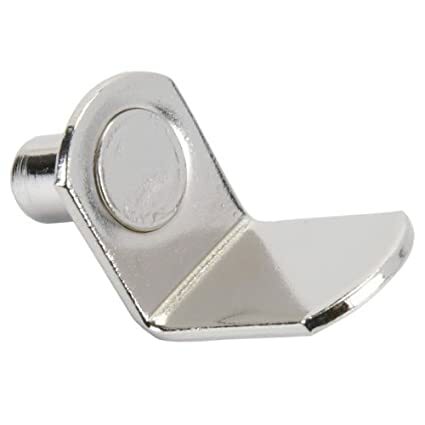 Then pop in your shelf brackets. Insert your shelves, put the back on the dresser (optional) and enjoy! 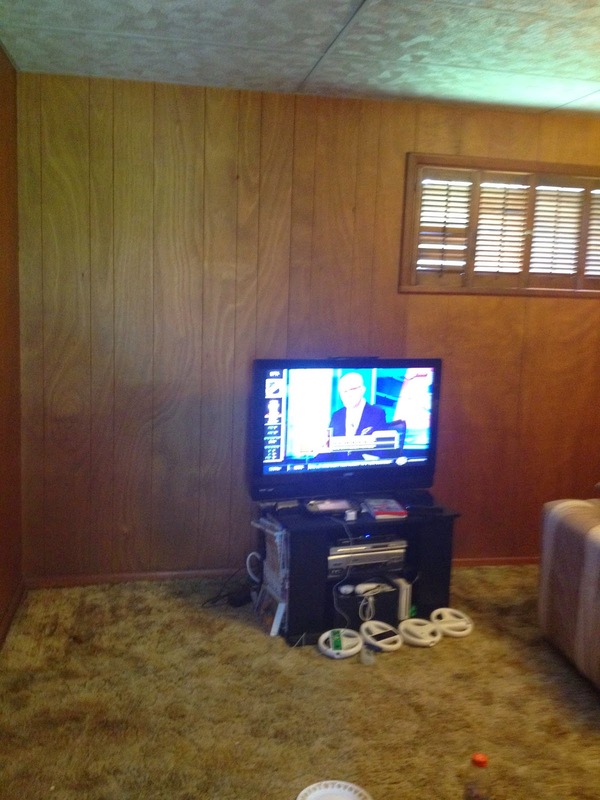 The ugly wood paneling is finally gone! We spent a whole day with Aaron’s wonderful cousins priming and painting the paneling and I’m so happy with how it turned out. I was kind of concerned about how the built-ins would look against the white, but I love how nicely the new wall color makes them stand out more. 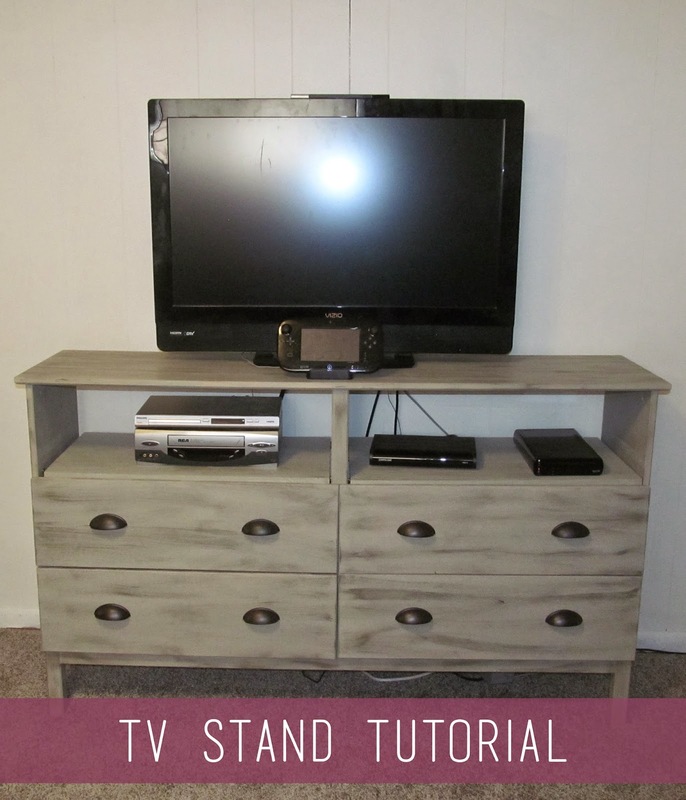 We actually made this TV stand and I'll have a tutorial explaining how we did it in the next few days. The new sofa and the rope lamp were found at Home Goods. 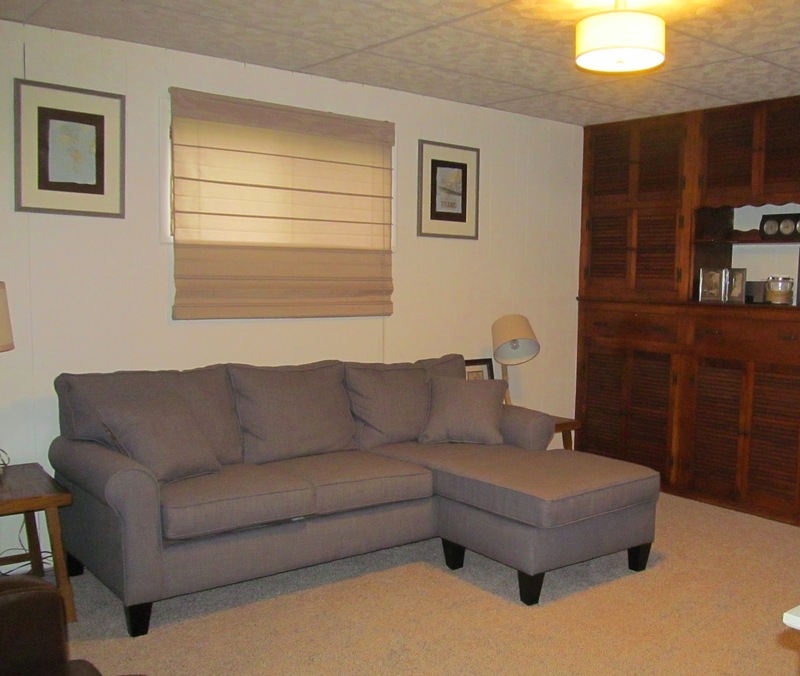 We intended to keep the Restoration Hardware inspired sofa in that room, however it was too weak underneath and it was really sinking and uncomfortable every time we sat on it, so it had to get replaced. I made the artwork for above the sofa and we got the roman shades from JCPenney. We also got a new light fixture from Lowes. 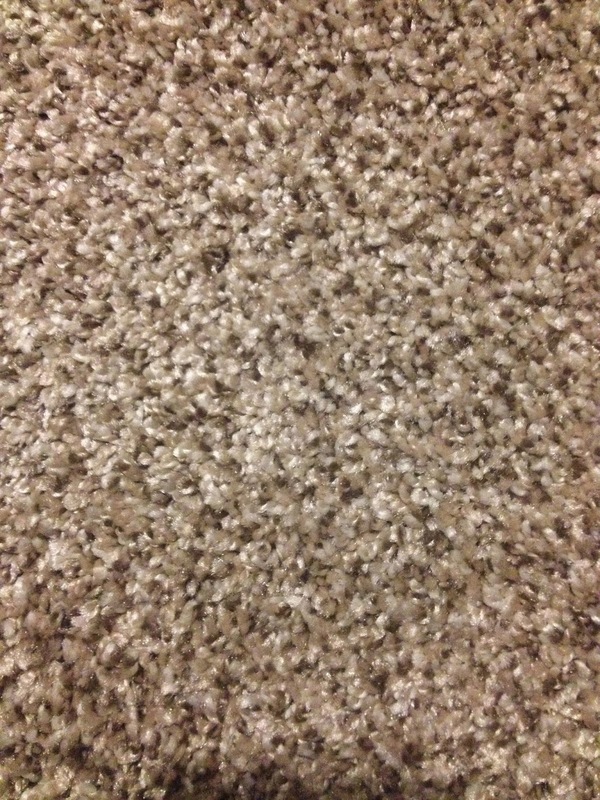 You can see how bad the carpet was. 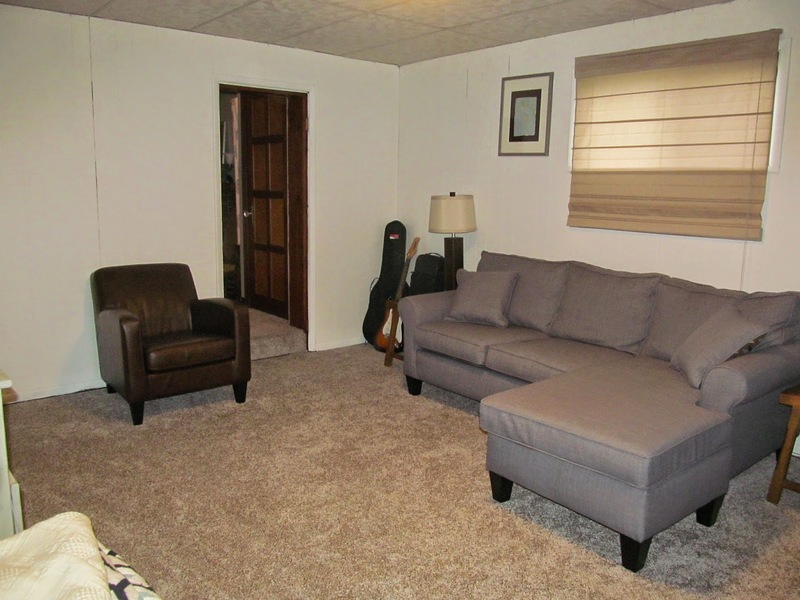 In addition, we got new carpeting to compliment the new paint. It’s super soft and ties in the new sofa well. This Ikea chair was also a great find to bring more seating in the room. It’s still missing a lot of decor, but it’s a great start and we’ve loved hanging out in there so far. 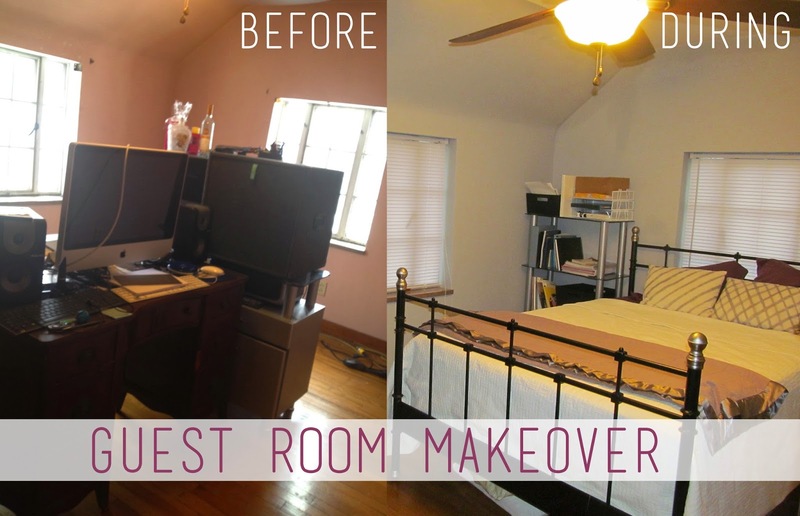 It feels good to only have two more rooms to redo! Dining room and small bedroom/office just need a coat of paint and some decorating! 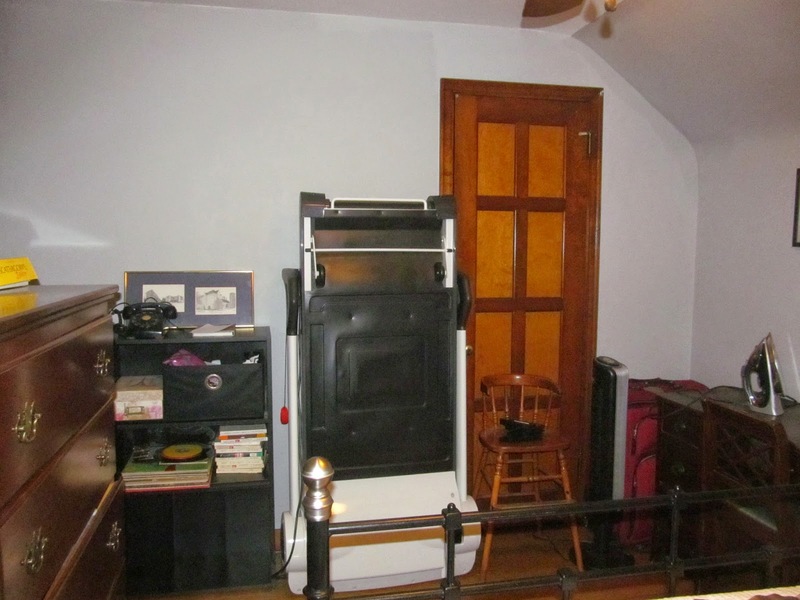 So this was one of those rooms that was low on the priority list because we don’t use it that often. 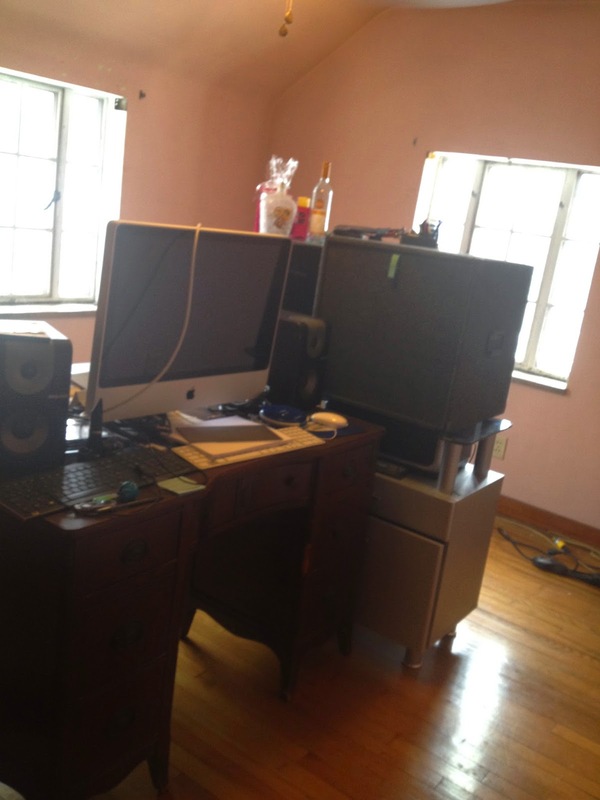 It’s kind of become a dumping ground for the stuff we don’t really have a place for yet (ie. all the stuff that need stored in the not cleaned yet basement.) 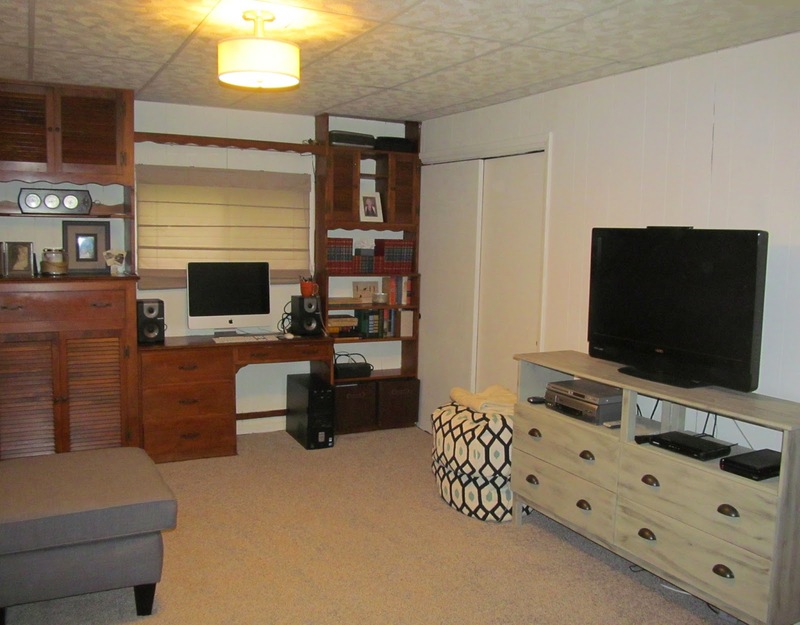 There are too many pieces of furniture in there and it’s still a work in progress as far as decor goes which is why I put “during” on the photo instead of after. 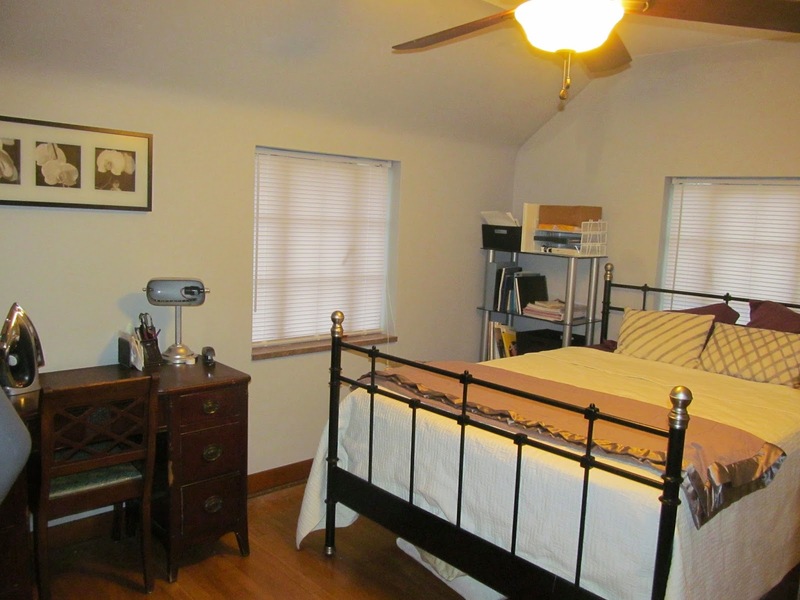 But it’s a cleanish room with a comfy bed if any of our friends and family come in for a visit. Before it was a gross salmon pink, even on the ceiling. We actually got rid of the ugly pink paint months ago, but the rest of the process has been pretty slow. At least this half of the room looks clean. You might recognize the bed frame from my old room at my parent’s house. The desk was there already and the bookshelf was formerly in our room, however we didn’t really use it there, so it got moved. Now its a nice, neutral grey so I can basically do anything with it once I have time to really decorate it and get all this extra junk out of there! 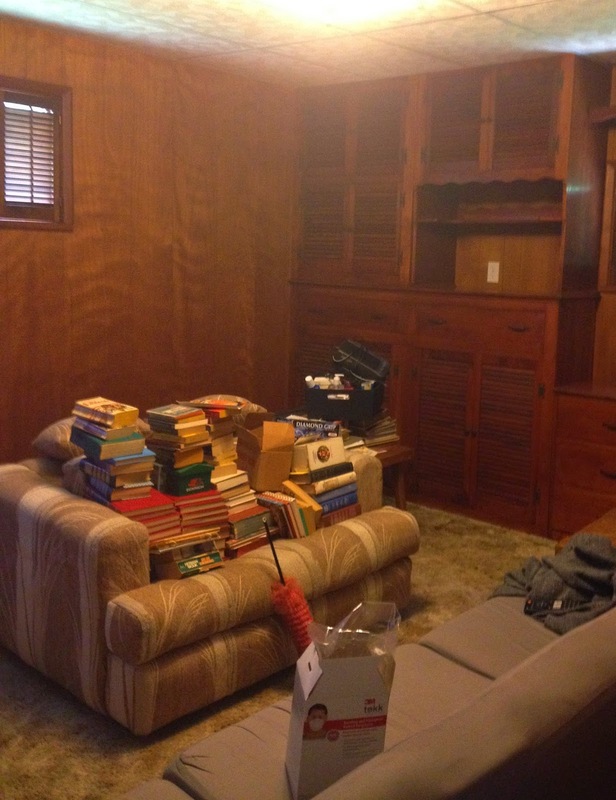 This half of the room is filled with all the extras that kind of got dumped in there. I'm hoping we can get the unfinished basement cleaned soon, so we can move some of this stuff. We had some friends over for Labor Day to show off the house and we had several friends arguing over who was moving in and whose room it would be. Aaron is obviously a huge part of my life. He helps me with all my projects and even inspires me to create many of them. This past weekend we celebrated a huge milestone and we’re starting a new chapter of our lives. Saturday was one of the best days of my life. 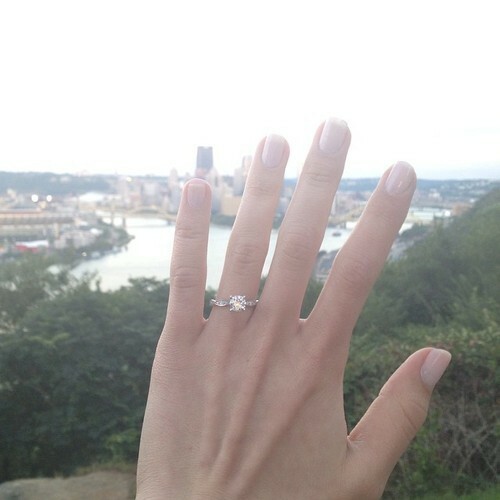 We went to our favorite restaurant and then went up to a Pittsburgh favorite spot, the West End Overlook. 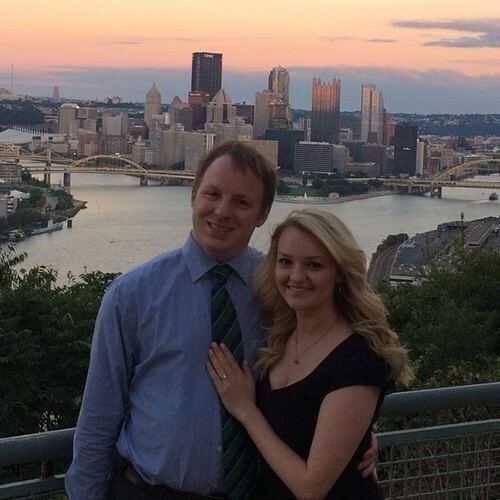 We’ve shared many memories there and it was the perfect spot for him to propose. At sunset too! He’s so romantic. Wedding plans are already underway and as a die-hard crafter you know there will be some projects involved. In addition to that happy news, I also have an announcement related to the blog. Tumblr has been a great platform to get out all my thoughts and share all my pictures of my craft endeavors. But as I continue to grow as both a crafter and a blogger, Tumblr has become a much harder platform to use. On October 1st I will be launching the new queenofthecardigans.com where I will continue to blog and share my love of creating. I’ve chosen blogger as my new platform mostly for ease of use. Tumblr has been a great home for me for the past two years but I’m excited for this new chapter in my blog. I’m currently working on moving all my old posts over to my new site. It’s been amazing to read my old posts and reflect on how much my writing has grown and how much more refined my projects and skills have become. I’m so excited for the coming months! 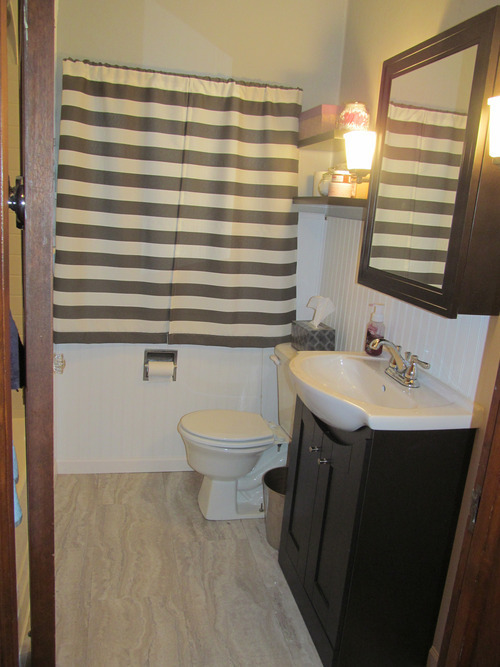 There are fewer feelings better than having a clean bathroom huh? 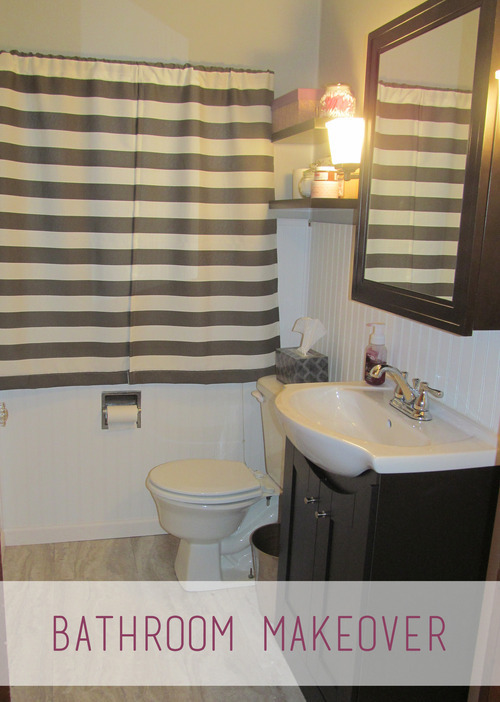 I was surprised by how stress-free this renovation was as I know bathrooms can be a messy job, but that’s probably because all we really did was paint and install new fixtures. 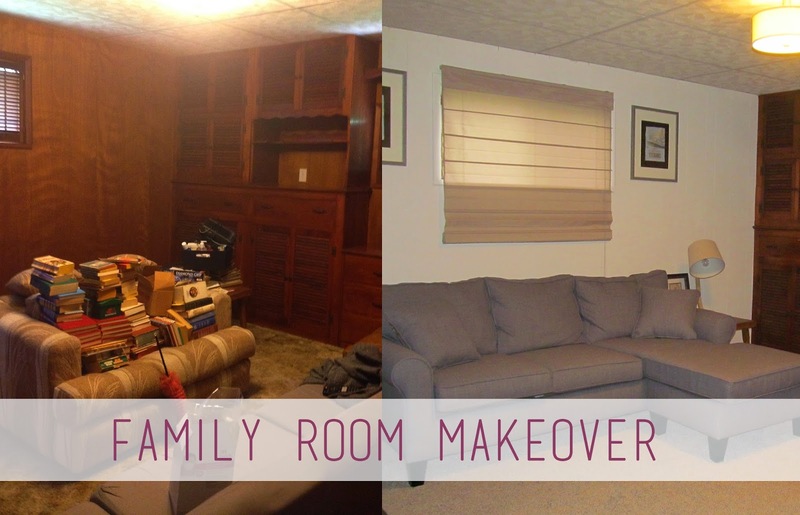 A renovation is much more fun when you’re not the ones doing the work! This is what it looked like before. 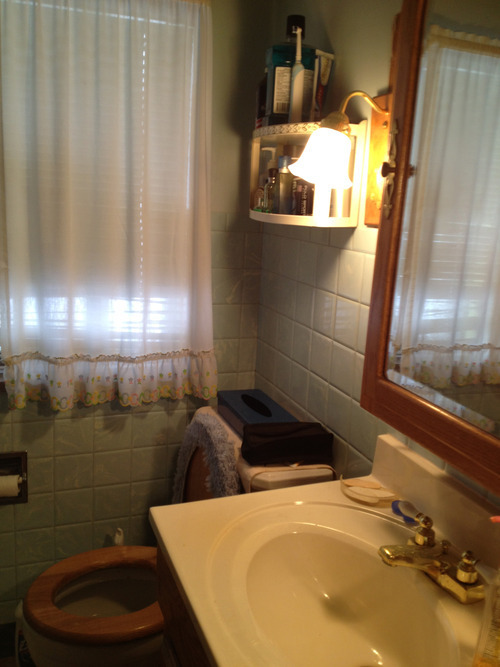 Blue plastic tile and a wooden toilet seat. Cozy, huh? 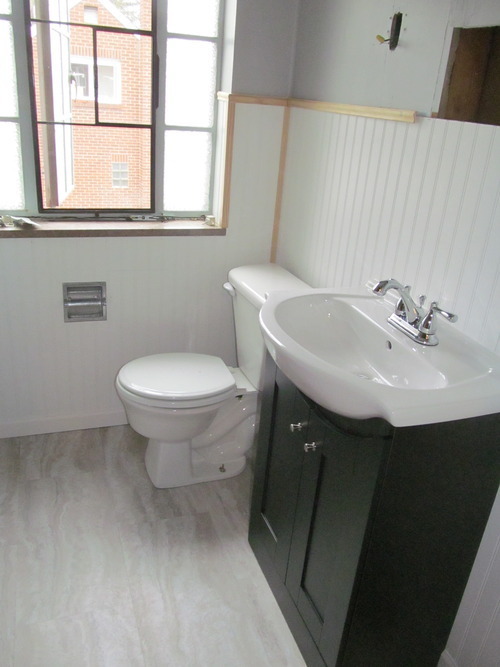 First thing we did was remove the toilet and sink. 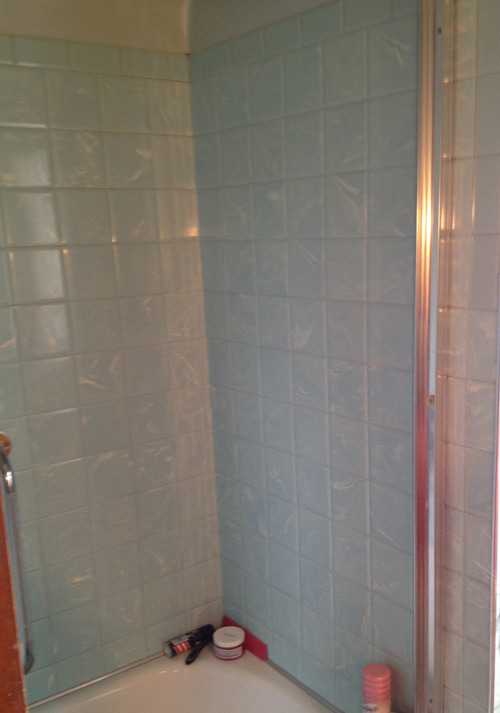 Knocking out the ugly, blue, plastic tile out was so satisfying. 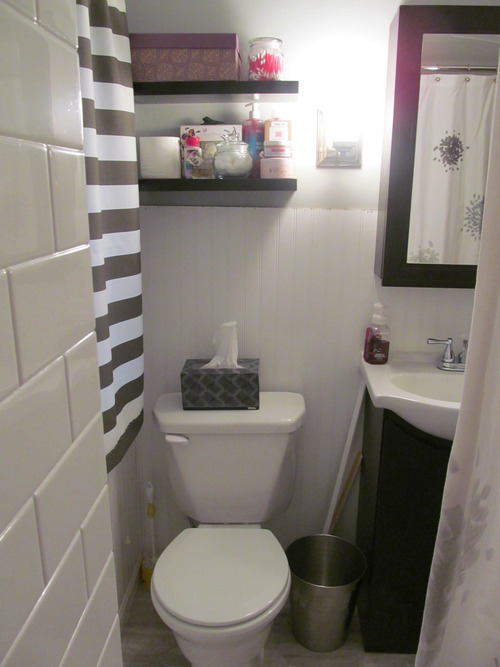 Instead of taking too much time to repair/replace the walls where the tile was, we just covered it with a much prettier beadboard. 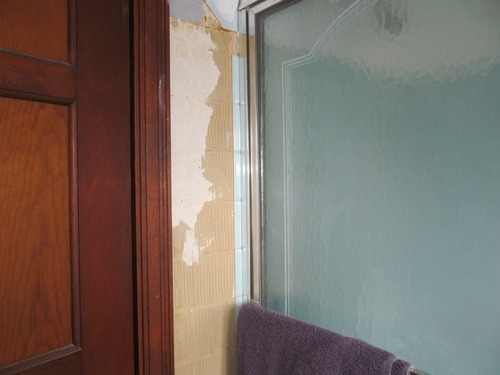 We decided to go with a bath re-covering company for the shower as opposed to retiling because of cost, time, and maintenance. 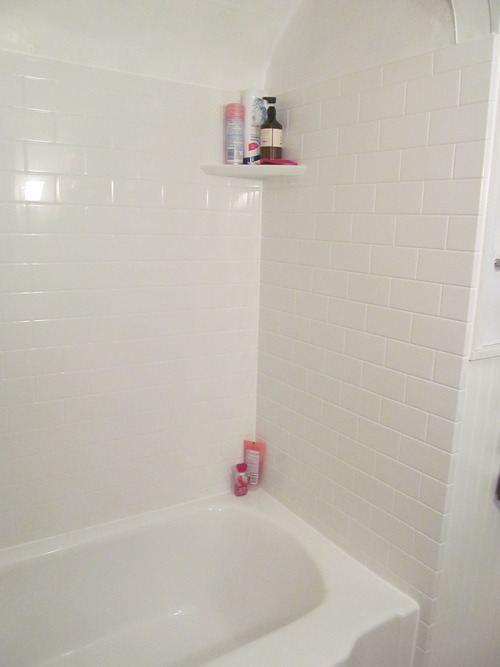 They had it done in a day and good news, there was no mold damage behind the tile! The floor was super easy as it was another stick down product similar to the one we put in the kitchen. Curtains were made by myself. 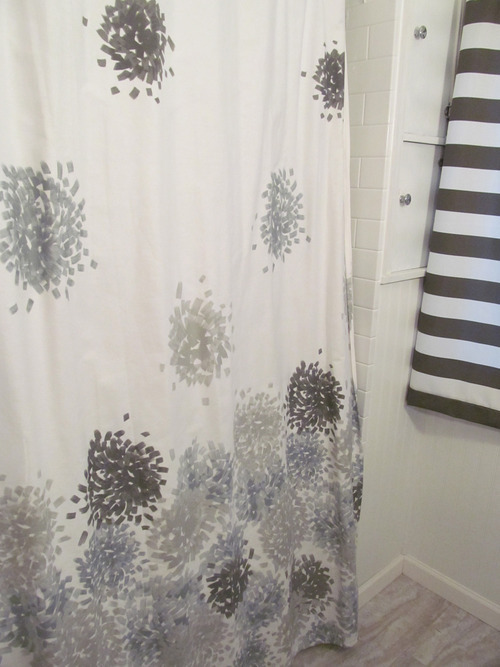 The shower curtain was yet another Homegoods find. The mirror, sink, lights, shelves, and towel rod were found at Lowes.